ITDC Recruitment 2019 - Job notification for GM & DGM Posts - F&A in Finance &Accounts Division, ITDC, New Delhi on Deputation Basis. Applications are invited by India Tourism Development Corporation Limited on or before 06 May 2019. CA/ ICWA/ Post Graduate Diploma in Management (with specialization in finance) / MBA (Finance). Eligible candidates may send their application in prescribed format (attached below) and copies of all required documents and certificates to Office of Sr. 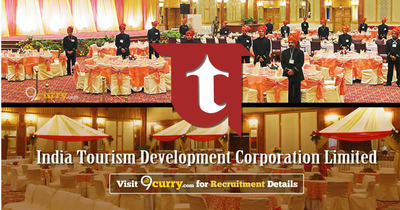 Manager (HR), India Tourism Development Corporation Ltd., SCOPE Complex, Core-8, 4th Floor, Room No. 404, 7 Lodi Road, NewDelhi-110003. The application with all relevant documents should reach within 30 days from date of publication of application form.